On March 1, 1969, a new magazine for and about high-ranking federal officials called Government Executive made its debut. "Our plan," founding editor and publisher C.W. Borklund wrote in the first issue, "is to publish challenging ideas; tempered only by the demand that our work be responsible journalism." 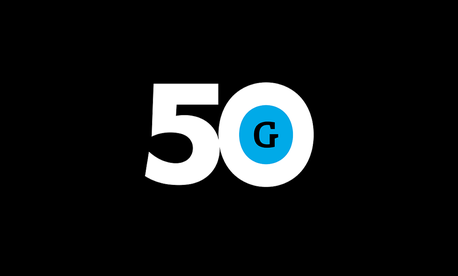 In the 50 years since, our modest magazine publishing effort has evolved into an enterprise that encompasses four digital publications (Government Executive, Nextgov, Defense One and Route Fifty) and includes live and online events, high-quality research and a custom content studio. To view a timeline of some of the key moments in our history, click here. In connection with our 50th anniversary, we will soon launch a redesign of the Government Executive website, to better highlight our daily journalism and other features of the site. In that process, we’re renewing our commitment to be the leading publication serving federal managers and executives. We’re also launching the Government Executive Theodore Roosevelt Leadership Awards, to annually honor an all-star team of distinguished federal managers and executives and industry leaders for outstanding achievement in delivering on government’s promise to serve the American people. In addition to the annual Leadership Awards, we’re creating the Government Executive Hall of Fame. It will enshrine the best of the best: those who have demonstrated sustained achievement and unparalleled dedication to public service throughout their careers. Each year a new class of inductees will be added to this group’s elite membership. Leadership Award winners and Hall of Famers will be honored at a gala dinner in Washington in September. Government Executive was founded on the notion that the people who serve in high-ranking positions in government are worthy of the same serious, in-depth journalism as America's corporate elite. It has been, and remains, our privilege to serve an audience whose work is so critical to the nation's future. We think what we have accomplished in the five decades since justifies the decision to launch a publication aimed at helping dedicated public servants achieve their mission of managing the nation’s business. “May Government Executive have a long, long life,” wrote one of our readers upon receiving the first issue. In the media world, 50 years certainly constitutes longevity. But to us, our long history is simply a foundation for what’s to come. We’re just getting started.